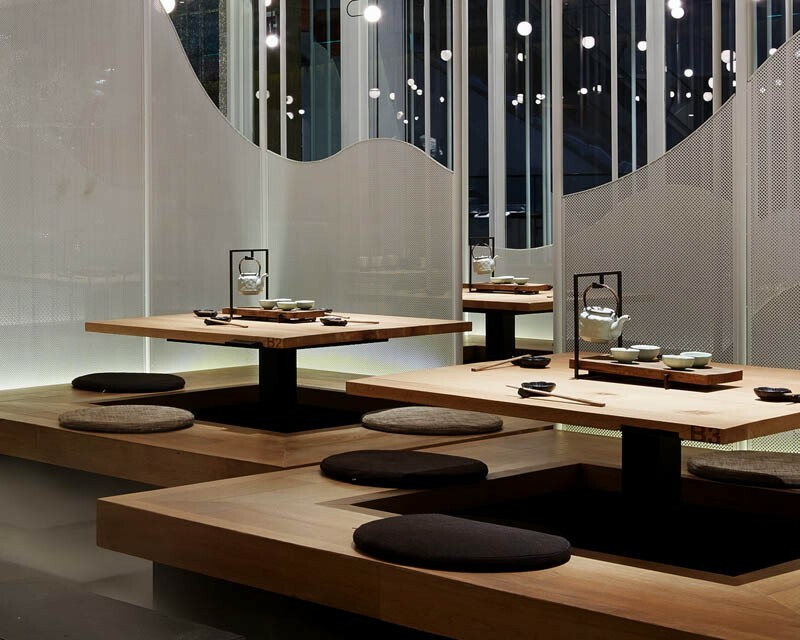 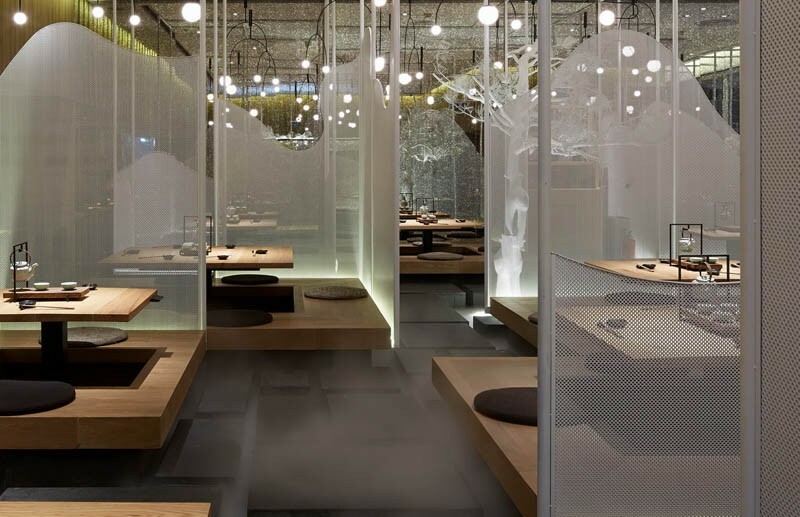 In early 2015, Golucci International Design were hired to design the interior of the Diaoye Niunan restaurant in Beijing, China. 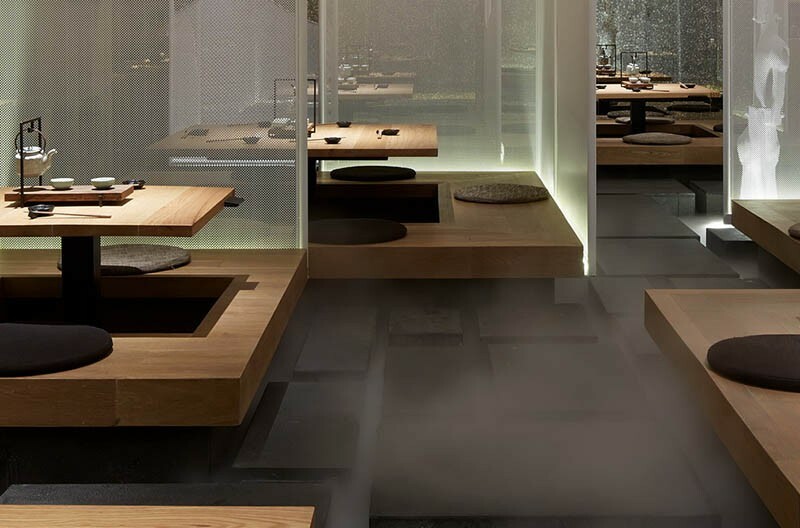 Inside the recently completed project, we can see a central feature are a group of tables, where guests sit on what appear as floating platforms, surrounded by fog covered walkways. 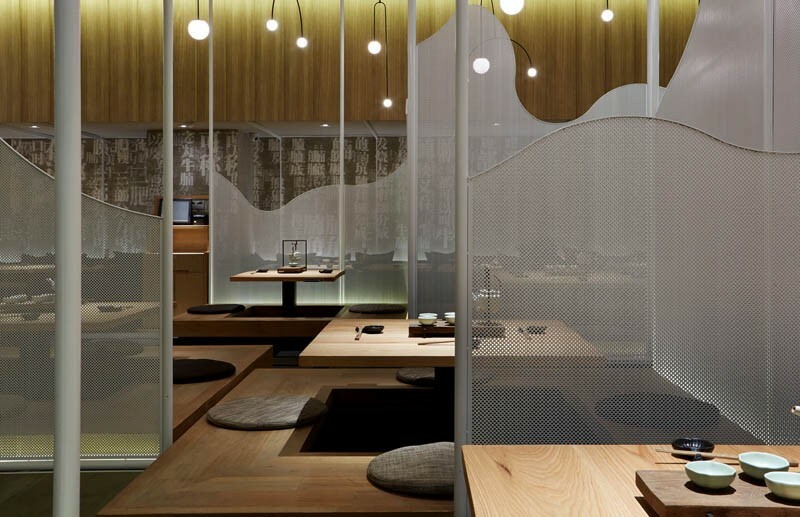 Separating the tables, are perforated metal screens that have been shaped like mountains. 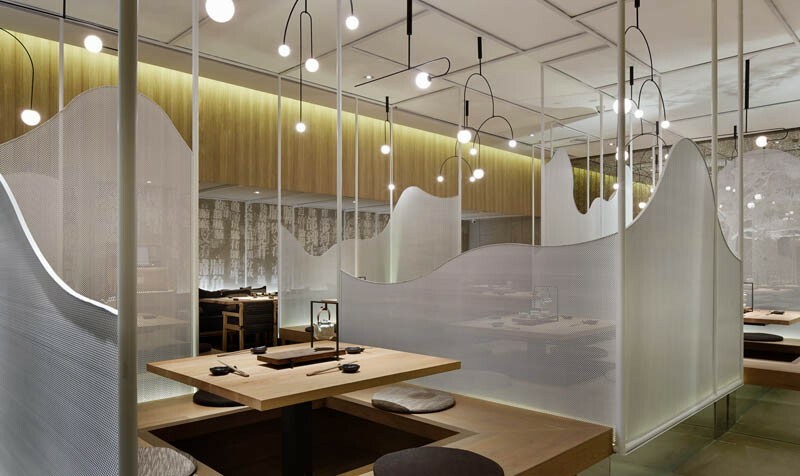 They also have traditional tables and seating, next to a wall covered in Chinese poetry.